Newly Re-Designed with colorful stars by Joe Paczkowski! These are perfect for Feasts, Unit Conventions, summer schools and other Bahá’í-centered activities. 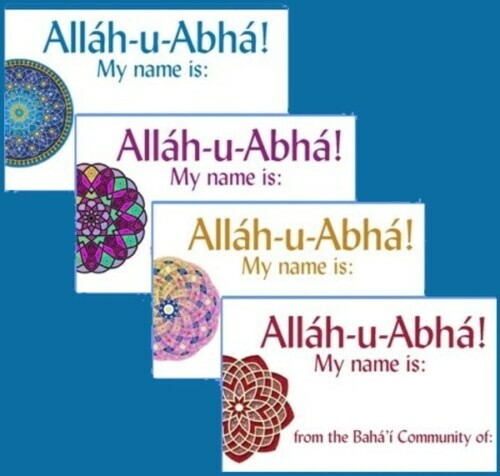 Not only does their distinctively Bahá’í design say “Allá-u-Abhá” and sport a nine-pointed star, but they also come in four colors to make it quick and easy to divide large groups into smaller discussion groups or workshops. 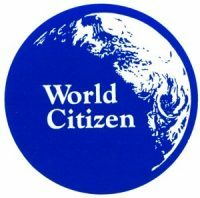 Old-timers are always the first to complain about name tags. They feel so artificial, so extroverted, so “out there.” But we don’t want our meetings to remain nothing but a group of old-timers, do we? DO WE? No. We don’t. Religious gatherings are especially stressful for newcomers. Will they be carried off to join a cult? Will people tell them they are going to Hell? Will they make any friends? Just by showing up, a newcomer has demonstrated a profound level of courage and openness. We have a responsibility to turn their presence into a positive experience. The simplest, most direct way to make people feel welcome is to let them know that we are willing to talk with them. That is what a name tag does. It says, “Hi! I’d like to talk with you, and I’ll even give you my name so that you can approach me first if you want to. 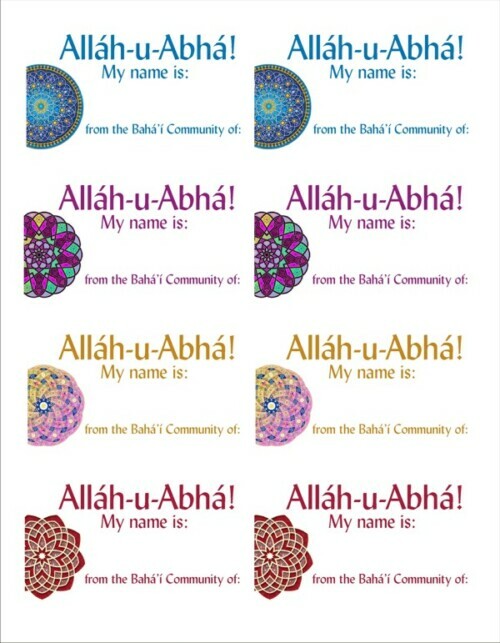 I do not want to be a stranger to you.” As we Bahá’ís know, names are not lifeless labels. 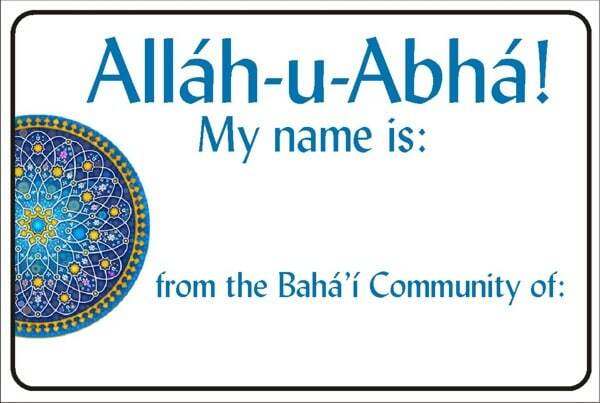 Bahá’u’lláh is the “Greatest Name” but all names have power and meaning. Learning a person’s name creates a connection that can last a lifetime, and can give us a focal point for prayers and service. 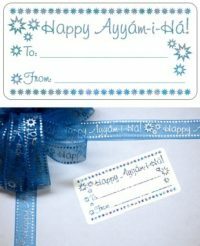 If only one new person is made to feel welcome, it is worth the few seconds it takes for forty – or even four-hundred – old-timers to put on name tags. And hey, it will help all of us old-timers avoid those Alzheimer-moments when we forget our close friend’s name. Bottom line: Name tags help newcomers feel welcome. That should be our #1 priority. 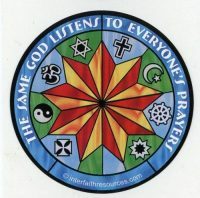 And if they are used at gatherings that bring together people from different places or different spiritual communities, then they help make everyone feel safer, more connected, more included, and more at peace.